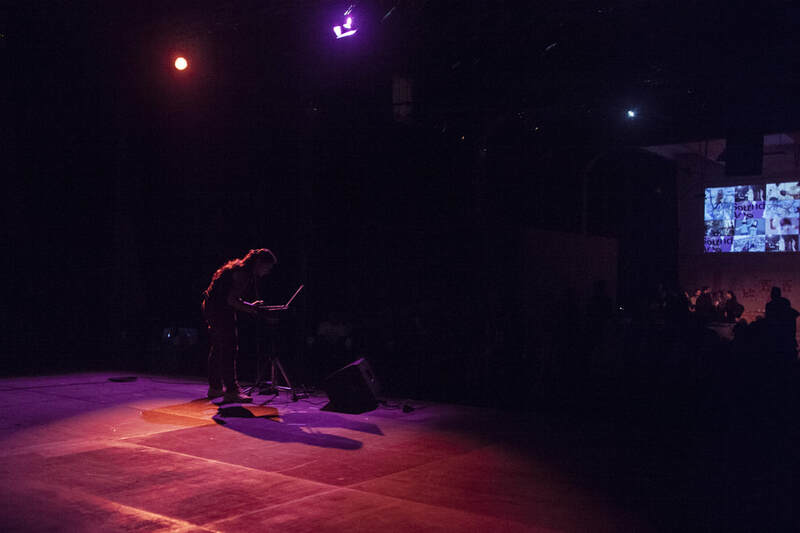 Submarine is an artistic duo of Egyptian artists based in Cairo, working with visual/sound art and interested in sound manipulation, sound politics and social movements. Their sonic bricolage draws inspirations from the flow of urban centers, infrastructure of cities, histories, narratives and geo-politcal tensions, commenting on the current socio-political tension in the middle east. Jacqueline is a teacher and moderator for developing children's skills through brainstorming and team working, who also works within art therapy teams for marginalized groups and refugees. 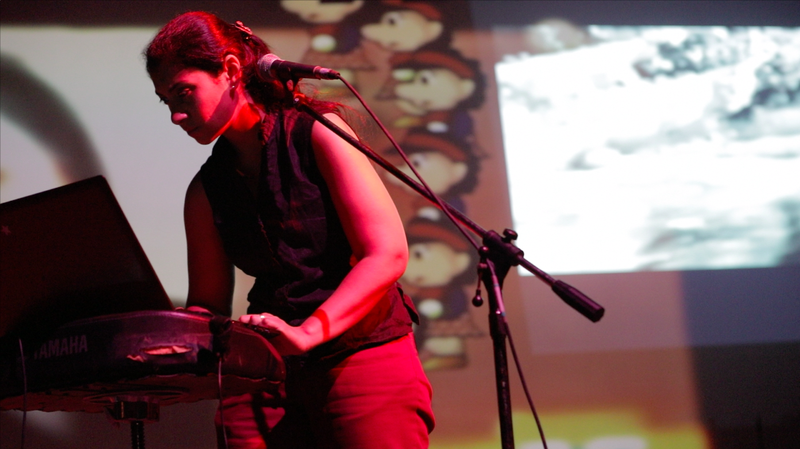 Yara is an electronic music composer and sound artist whose sonic bricolages draw inspiration from the flow of urban centers and the infrastructure of cities. 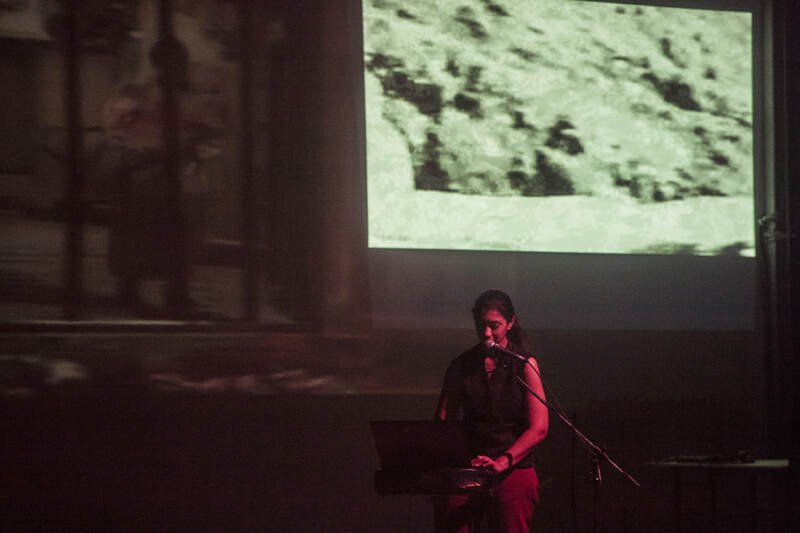 For Sound Acts, Jacqueline and Sara prepared a 30 minute live performance using a variety of elements, from video games to field recorded sounds from Cairo. 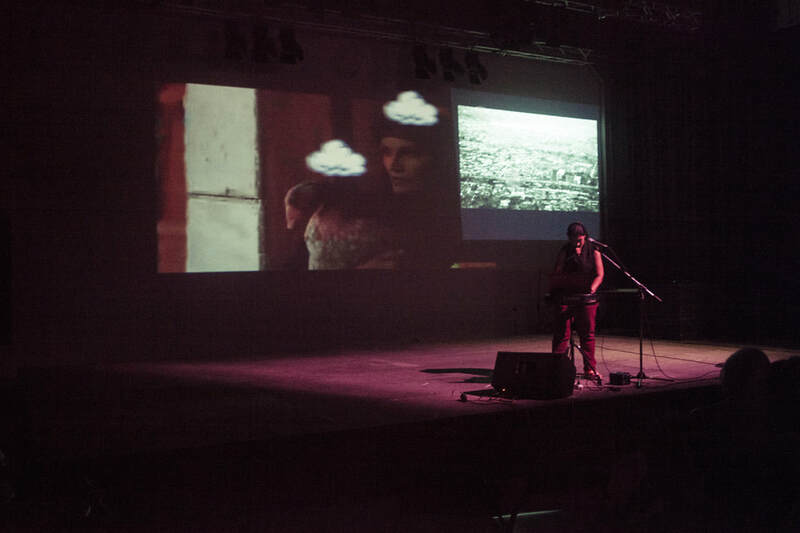 Unfortunately, due to a last-minute visa problem, Yara was unable to join us, so Jacqueline presented a solo performance.